This official MLB Baseball is autographed by Fergie Jenkins with his HOF' 91 inscription. It comes in a protective plastic cube and can be yours for a $40.00 donation to the Fergie Jenkins Foundation. This official MLB Baseball is autographed by Fergie Jenkins with his Cy Young 1971 inscription. It comes in a protective plastic cube and can be yours for a $40.00 donation to the Fergie Jenkins Foundation. This official MLB Baseball is autographed by Fergie Jenkins with his 3,192 K's inscription. It comes in a protective plastic cube and can be yours for a $75.00 donation to the Fergie Jenkins Foundation. This special edition Black Aces official MLB Baseball is autographed by Fergie Jenkins with his HOF' 91 inscription. It comes in a protective plastic cube and can be yours for a $40.00 donation to the Fergie Jenkins Foundation. This special edition official MLB Baseball is autographed by Fergie Jenkins and includes inscriptions of all of his career statistics. It comes in a protective plastic cube and can be yours for a $300.00 donation to the Fergie Jenkins Foundation. This special edition Chicago Cubs official MLB Baseball is autographed by Fergie Jenkins with his HOF' 91 inscription and the Chicago Cubs Logo. 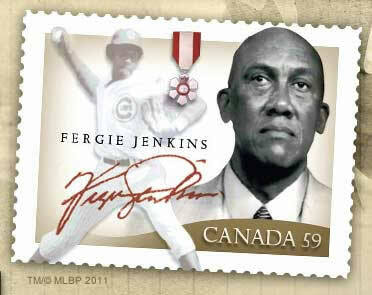 It comes in a protective plastic cube and can be yours for a $40.00 donation to the Fergie Jenkins Foundation.